We can create Custom Videos, Logos, Flyers, Postcards, Facebook Pages, Twitter and YouTube Accounts. 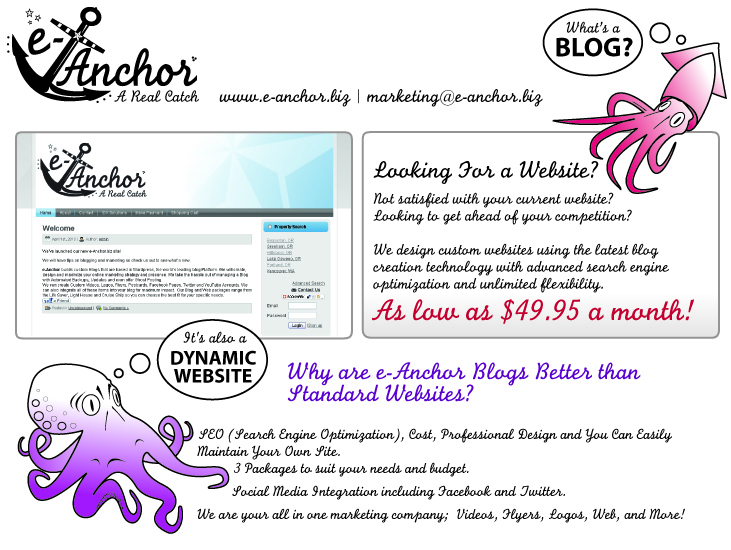 We can also integrate all of these items into your blog for maximum impact. Our Web packages range from the Life Saver, Light House and Cruise Ship so you can choose the best fit for your specific needs.